Kyudo is a Japanese martial art of archery, orginate to Samuraï archery (kyūjutsu). Kyudo There are 5 products. Hakama for the practice of Kyudo made in Japan by MATSUKAN and ANSHIN brands. Obi (belts) for Kyudo. 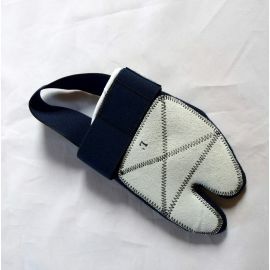 Our obi are made in Japan. 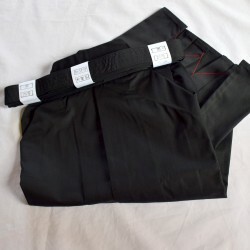 Kyudo obi / Belt for kyudo Length: approx. 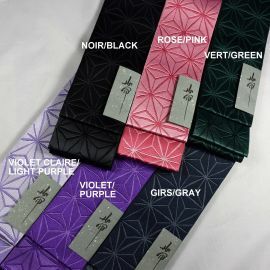 3.8m Width: 8.5cm Polyester 100% Obi Hitoe: jacquard double face, reversible. Traditionnal unique and beautiful design. Kyudo obi / Belt for kyudo -SAKURA Length: 3.8m Width: 8.5cm This belt also can be used for an Aikido training. MATSUKAN Hakama Tetron IAIDO Tetron fabric (65% polyester 35% viscose) It is very easy to care and durable. It dries quickly after washing, the folds remain in place. 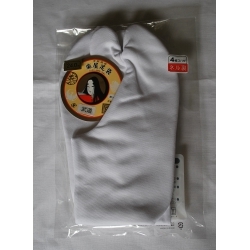 GAKUYA Budo Tabi-white Traditional Japanese Tabi Socks 24cm - 32cm Tabi are traditional Japanese socks put together with a traditional kimono. Used for the practice of Kyudo and Iaido. These Tabi were born on the partnership between SINONOME and GAKUYA and specially designed to practice Japanese martial arts.